Offering 457 stylish guestrooms and suites, the Grand Hyatt Seattle combines convenient location, luxurious accommodations, and state-of-the-art facilities with unparalleled services. The guestroom entrance includes stone flooring and ledges, welcoming Onyx lighting which leads to an over sized four fixture bathroom with cast iron deep soaking tub and separate glass enclosed shower of Carrara Marble. Over 25,000 square feet of flexible meeting space. Ruth s Chris Steak House: Serving USDA Prime beef as well as select fresh seafood and other meat entrees, including seasonal specialties. Starbuck s: On site coffee shop which serves coffee, pastries and sandwiches. Prime location in the heart of the downtown and business district. 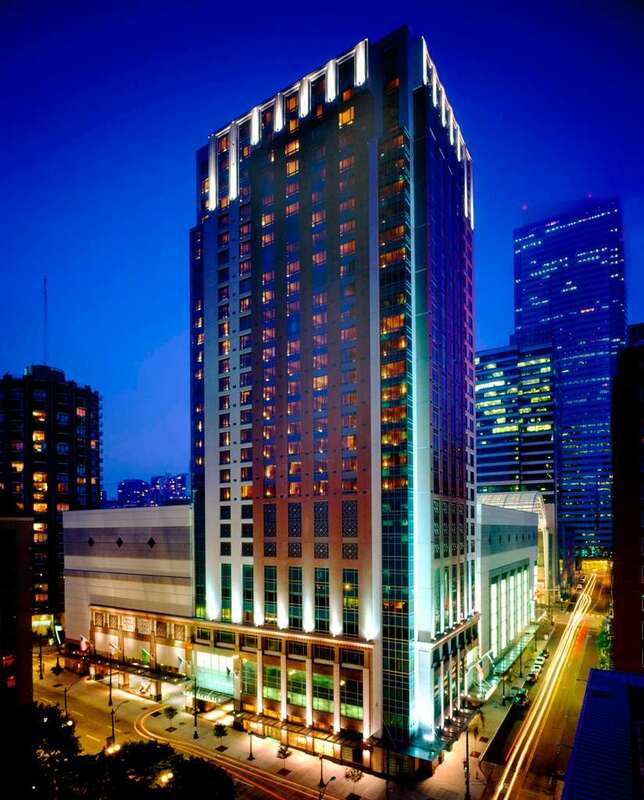 Adjacent to the Washington State Convention Center and the city's best shopping including Nordstroms flagship store. Walking distance to Pike Place Market and theatres, a quick Monorail ride away to Space Needle and Seattle Center/EMP. Easy access to major freeways. Two blocks to Light Rail Station with acess to SEATAC Airport.